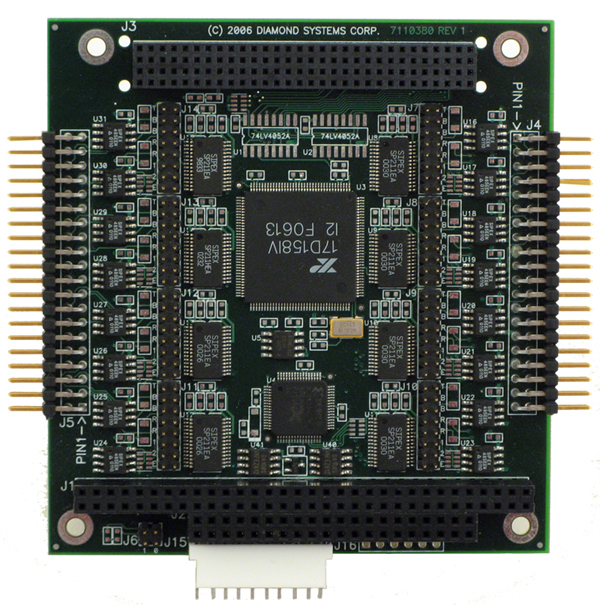 Diamond Systems offer a variety of add-on rugged I/O modules in the most popular small form factors. 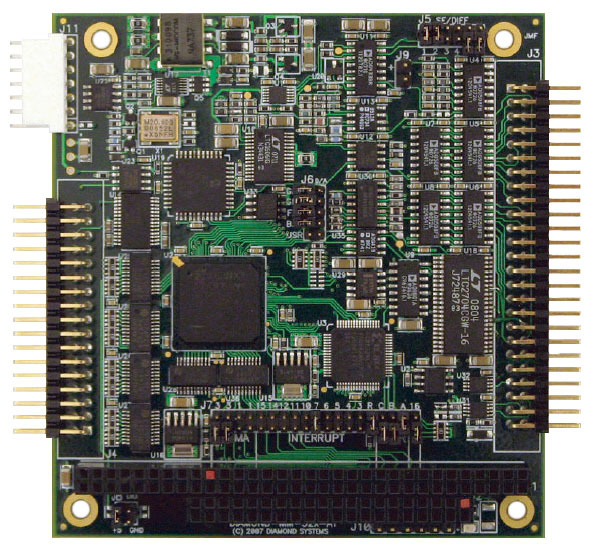 Offering I/O expansion including CAN, Ethernet, analog, digital, serial, opto-isolated serial, WiFi/GPS, or power supplies, they are an ideal choice for a wide variety of applications that need additional I/O. Their rugged design, latching connectors, and -40ºC to +85ºC operating temperature allow them to excel in harsh environments. The table below lists the different types of Diamond's I/O modules. Click on any category for more information. 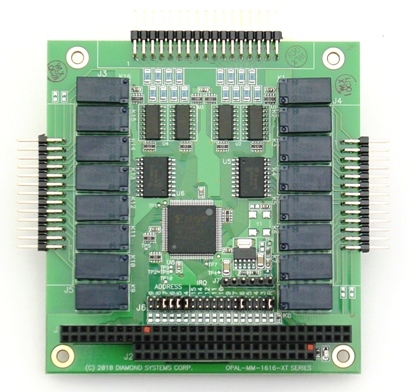 Wide-temperature PC/104, PC/104-Plus, and FeaturePak modules featuring programmable bidirectional digital I/O, counter/timers, optoisolated inputs, and relay outputs. 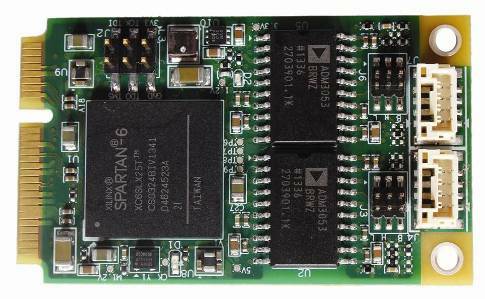 Rugged, wide-temperature PC/104 and PC/104-Plus modules featuring standard and optoisolated RS-232/422/485 serial interfaces, Ethernet, CAN bus, GPS, and digital I/O functions. 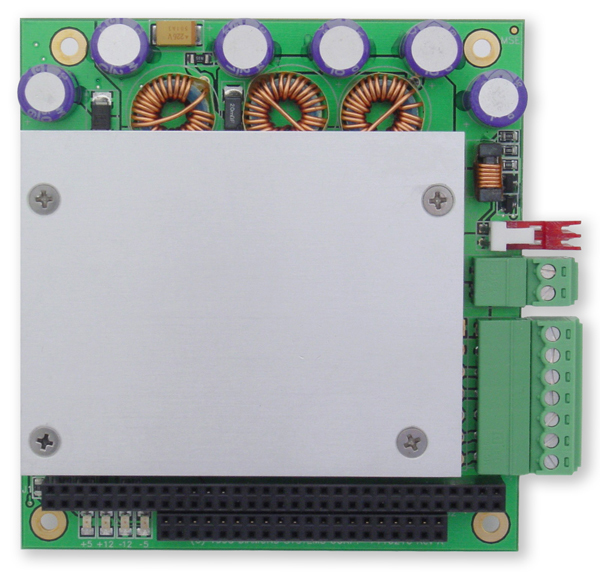 Rugged, wide-temperature, PC/104-sized DC/DC power supplies and stackable rechargeable battery packs. The DC/DC supplies provide options of up to 100W output power, multiple output voltages, and fixed and variable voltage inputs. The Diamond Systems logo is a trademark of Diamond Systems Corporation. 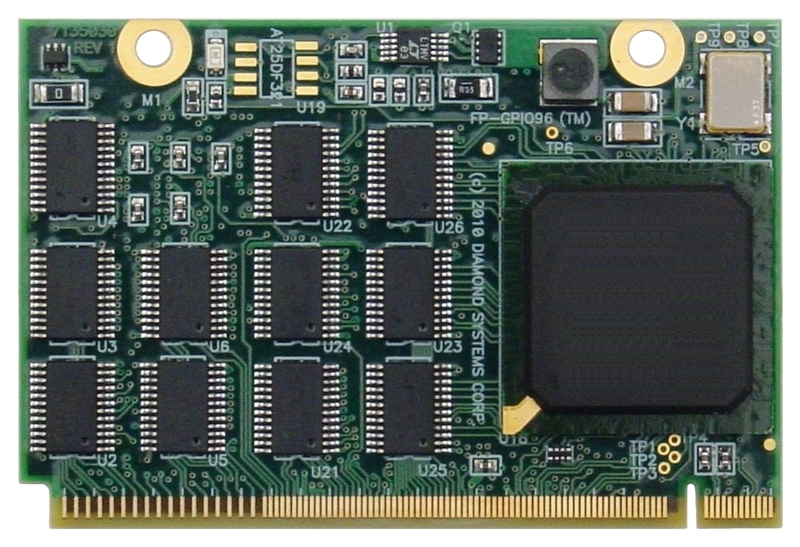 PC/104, PC/104-Plus, PCIe/104, EPIC, and EBX are trademarks of the PC/104 Embedded Consortium. SUMIT is a trademark of the SFF-SIG. All other trademarks are the properties of their respective owners.